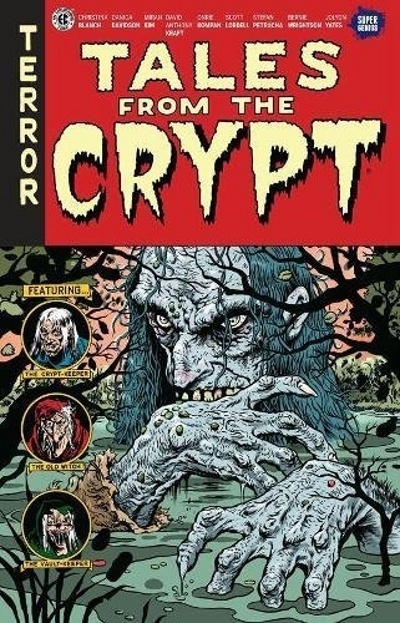 The biggest strength of this book is that it can draw on the rich traditions of the EC comics of the 1950s. The biggest weakness of the book is that it doesn’t quite match up to the quality of those 1950s books. The best artwork in this book comes from Bernie Wrightson tales from the 1970s, but the writing on all of the stories is good. At least some of the stories are based on things too close to reality, such as parental abuse of children, but the overall concept of justice being enforced by the laws of man, physics, or obnoxious supernatural entities remains intact from the original. 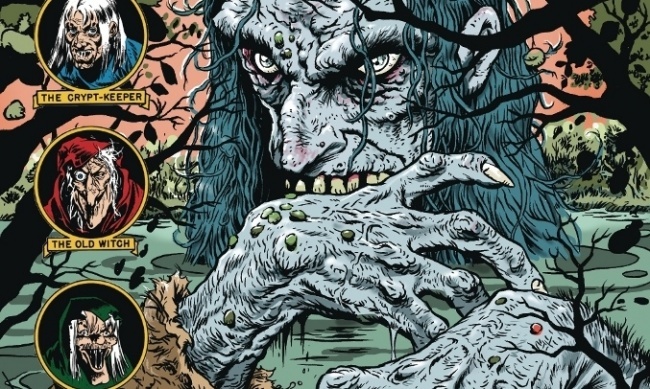 Unfortunately, the three supernatural entities from the old EC comics don’t come across well in this modern setting. The Crypt-Keeper, Vault-Keeper and Old Witch are old-fashioned enough that they don’t work as well in a modern setting as they did 60+ years ago. Still, the horror story format is a good one, and the book can easily get better over time. This book is worth reading, for fans of modern horror, and contains some interesting takes on unusual forms of horror. If you see something as a zombie, is it one? Will the law look for your child after she’s been declared missing and presumed dead? Thus, this is a good but not great addition to the field of horror graphic novels that should be made available to teens and adults.